Experienced. Talented. Motivated. Innovative. Respectful. Bo Lais has been architecting websites since 1999 and has an extreme passion for creating beautiful web applications that people love to use. Lais has incredible business acumen, a background in web design, and certifications in multiple online marketing channels. With certifications in the Psychology of Interaction Design Lais puts a very strong emphasis on User Experience (UX) and how it directly relates to increased conversion goals. Whether you are a fortune 500 company, small business, or a startup Lais and his team of kansas city web designers will use creativity and the latest technologies to make your vision a reality. When Lais isn’t working he loves spending time with his family, reading books, and beta testing new technology for companies like Bitdefender and Amazon. 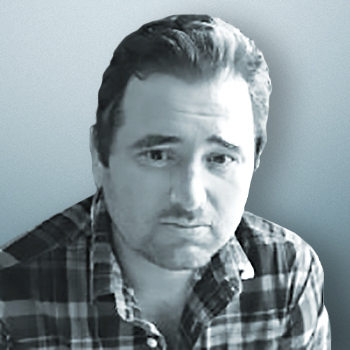 Tyler Downey has been involved with Upshot for nearly a decade providing his incredible talent as a seasoned creative writer. Tyler has experience writing for world renown magazine publications and now enjoys providing creative direction and content development for the majority of our projects. Always in good spirits and never failing to impress you with his writing skills; Tyler can turn boring into interesting at the drop of a hat. More has been working for around 8 years in Web Design/Development and Computer Graphics fields. He is specialized in designing clean graphics and standard compliant websites, Well experienced in HTML5, CSS3, SASS, LESS, jQuery, JS as well as several other frameworks and content management systems. More has also considerable experience in Back-End development with PHP/MySQL and Laravel framework. He holds an MSc degree in Software Engineering. 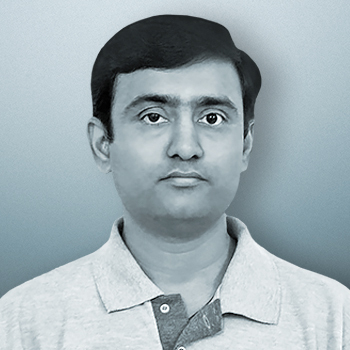 Ravish has 15+ years in web application development and managing software engineer teams. 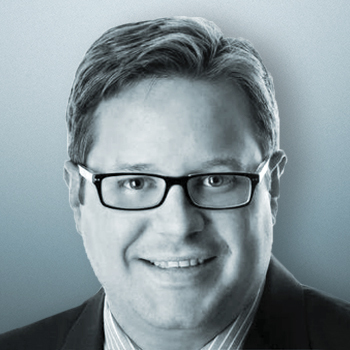 He has a ton of hands on experience in PHP, MySQL, VB, Oracle, and MSSQL specifically. Ravish has worked with a lot of PHP and CMS frameworks such as Laravel, CodeIgniter, WordPress, Magento, Drupal, and Custom developed application applications. Ravish has been part of several start ups that have found solid success including industries in technology, healthcare, finance, and on-demand services. 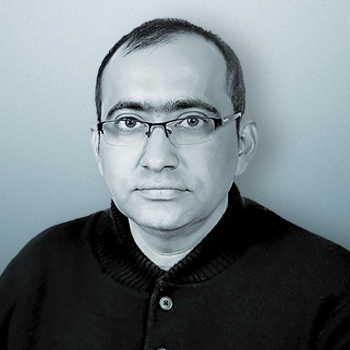 Ravish holds a Bachelor degree in Computer Science, and a PG Diploma in Advanced Computing, CDAC. Vijoy is an accomplished mobile app developer who is able to create mobile applications for every mobile software operating system platform available. With over 9 years of software application development experience there isn’t a problem yet that Vijoy hasn’t enjoyed discovering a solution for. Combining Vijoy’s excellent mobile app dev skills with Upshot’s high focus on user experience (UX) we create beautiful and intuitive mobile apps for any device. 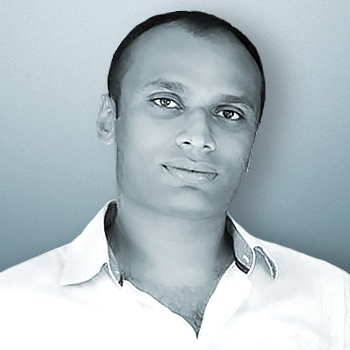 Munish is a web designer with more than 12 years of experience. He loves his work and that’s why he is exceptionally good at it! Munish designs using a variety of methods while utilizing several design tools such as Photoshop, Sketch, and Illustrator. Munish always produces web sites that are as visually appealing as they are functional. He always has the “Big Picture” in mind to make sure plenty of planning goes into each project to allow for future expansion of features with ease. 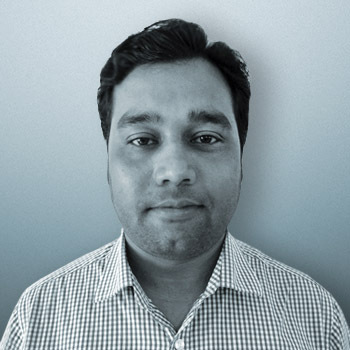 Ajay has 8+ years experience in web application development. 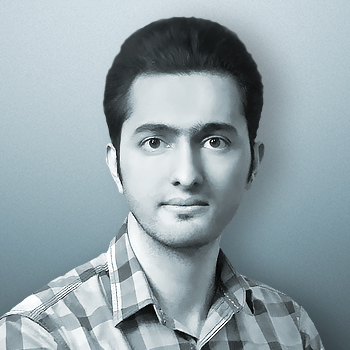 He has experience in PHP, MYSQL, CMS and frameworks like LARAVEL, Codeigniter. He has domain expertise in Telecom, Healthcare and ecommerce. Ajay Holds Bachelor Of Engineering (E&TC) Degree and PG Diploma in Advanced Computing CDAC.